If the forecasts are to believed, the UK is in for a barbeque summer with temperatures soaring, sending Britons outdoors for the season. This is the perfect excuse to drag out the grill, but there’s no reason to risk undercooked chicken and sausages or dig out the burger buns with these unusual but delicious suggestions. Forget the trend for outdoor pizza ovens, grab some pizza dough and get topping. Simple ideas include peppers, tomatoes, mozzarella, pesto and asparagus, but the combinations for a crusty, yet chewy and delicious barbequed pizza are endless. If you didn’t include this on your pizza, then pair pineapple with spicy chicken. Barbequed pineapple has a delicious, caramelised flavour that can also be enhanced in a dessert with a little sugar or honey. Peaches are another fruit that grills well. Add a little butter, and a pinch of cinnamon for the ideal accompaniment to ice cream. Alternatively try its hard-skinned nectarine cousin with mascarpone and a little sweetner. Boiled artichokes are transformed after a few minutes on the barbeque. Slice them in half lengthways, scoop out the centre then brush with olive oil and perhaps an optional sprinkle of salt. Serve with lemon juice and savour the smoky taste. 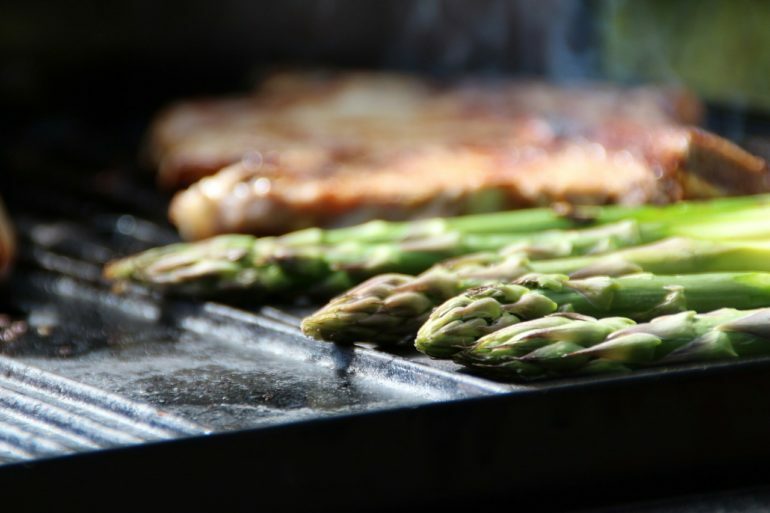 You’ll need to put in some effort to stop the spears from falling through the grill, but asparagus drizzled with olive oil, grilled and served with lemon juice, salt and shaved Parmesan cheese is a real treat. It’s a popular summer staple, but try putting watermelon on the grill next time for a real treat. It’s so good that it can be complemented in various ways, from Greek yoghurt and honey, or feta, lemon and mint. For something really unusual, try drizzling some olive oil or garlic chilli sauce and lime. 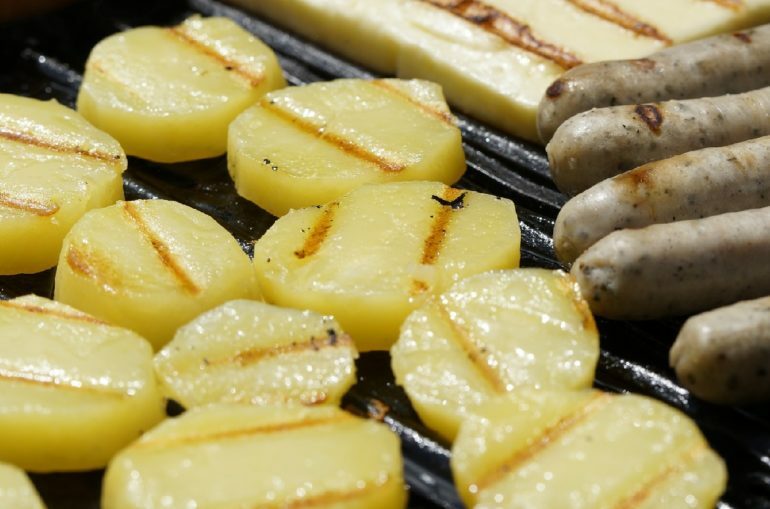 Wrapping jacket potatoes in foil and putting them on or in the barbeque is an old favourite, but you can slice and grill them too. Even better, slice a sweet potato into wedges and combine with a little olive oil and lime dressing. Halved, de-stoned and brushed with olive oil, avocados respond well to grilling. It makes both an accompaniment to a main dish or delicious on its own after filling with tomatoes and herbs. You don’t have to be a vegetarian to enjoy the taste of tofu, and it’s great with curry powder or a marinade. Serve with a chutney dip, rice or salad.